JERUSALEM (AFP) – A dispute with an Israeli water company over unpaid bills has led to a Greek Orthodox threat to close Christianity’s holiest site, the Church of the Holy Sepulchre in Jerusalem. Maariv newspaper reported on Friday that the Hagihon water company said it is was owed 9 million shekels ($2.1 million) in unpaid bills dating back decades. In protest, the Greek Orthodox patriarchate, a joint custodian of the church, has threatened to close the Holy Sepulchre, said to be the site of Jesus’s crucifixion and resurrection. Any such measure, however, would need the agreement of the Catholic and Armenian churches, which are co-custodians. 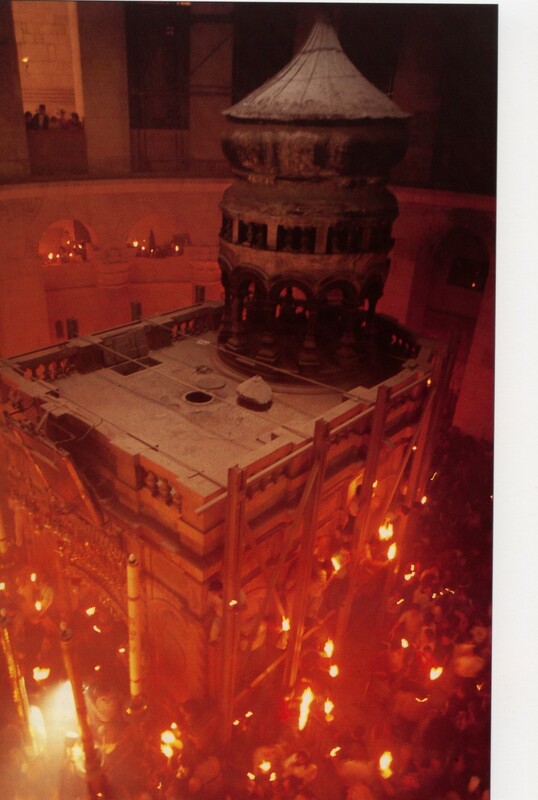 The Greek Orthodox Church contends that the Holy Sepulchre was always treated as a special case and exempted from water fees, unlike other churches in the Holy Land. Its bank accounts have been blocked because of the dispute, according to Maariv, leaving the church unable to pay its priests or expenses, including electricity and telephone bills. “Greek Orthodox Patriarch Theophilos III has spoken (to church officials) about taking measures… in protest at Israeli actions against the church,” said Dimitri Diliani, president of the National Christian Coalition in the Holy Land. “He is consulting with the heads of churches to take the drastic measure of shutting down the Church of the Holy Sepulchre,” Diliani, a Greek Orthodox Palestinian, told AFP. “It’s not a matter of money, it’s a change in the status quo that has protected the church for hundreds of years, it’s a way to pressure the churches and to introduce new Israeli-designed measures,” said Diliani. Maariv said the Greek Orthodox Church has written to Israel’s Prime Minister Benjamin Netanyahu and President Shimon Peres in protest. Previous: INITIATIVE OF THE HEADS OF THE ORTHODOX CHURCHES OF THE MIDDLE EAST CONCERNING THE SITUATION OF THE CHRISTIANS IN THE REGION TO THE EUROPEAN UNION. In communicating with close acquaintances from the Middle East they asked me questions as to why is Maariv now demanding money for water bills after the passing of all these years? Is the company in desperate need for money? Why now with the global financial crisis and when Christians in the entire Middle East region have been copping flack from Islamists and Zionist extremists, and are in need of welfare support? Considering the immense cost of maintaining a site like the Holy Sepulchre, especially with the volume of people passing through it, should not taxes and rates be exempt for it, so that capital can be put back into this sacred shrine which earns for Israel immense money through tourism and pilgrimages? Or is this a politically motivated move to bleed further funds from the Patriarchate which is the second largest land-holder in Israel and Palestinian territories? (If memory serves me well, the Israeli Knessett is built on Patriarchal land). On a related note, the spate of Anti-Christian desecrations and discriminations in recent years across Israel, such as the offence at the Catholic monasteries , or the assault on Christians being branded as Nazis, as a case in point… One can only speculate and question what is exactly going on.